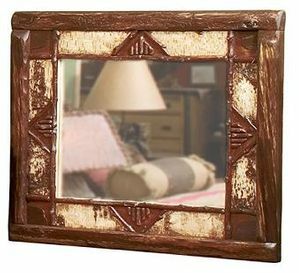 Fireside Lodge Mirrors come in a variety of wood types from cedar and hickory to classic barnwood. Each piece is unique and made with only the best materials to create a look that can't be duplicated. Skilled artisans make each piece and using painstaking detail and craft a mirror that is just as much art as cabin furniture. Your room will open up once these mirrors go on the wall.